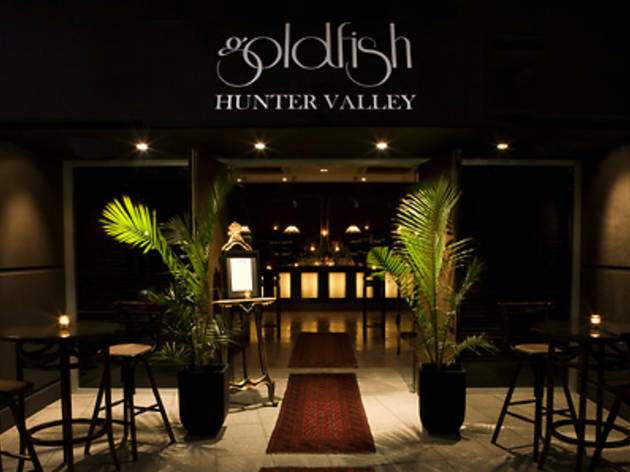 Heading to the Hunter and looking for a place that has it all? 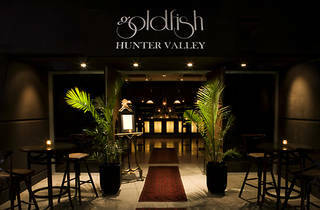 Look no further than the Goldfish Cocktail Lounge and Casual Dining, located on iconic Hunter winery Tempus Two. Choose from leather booth seating, pull up a seat at the bar, or sit outside under the grape leaves, then enjoy international cocktails accompanied by Mediterranean cuisine and gourmet pizzas. On Saturdays they offer a courtesy bus from 7pm to a 15km radius of the venue. Spend a lazy Sunday at the venue and enjoy live music from 2.30-6pm.